See scan - very good condition. 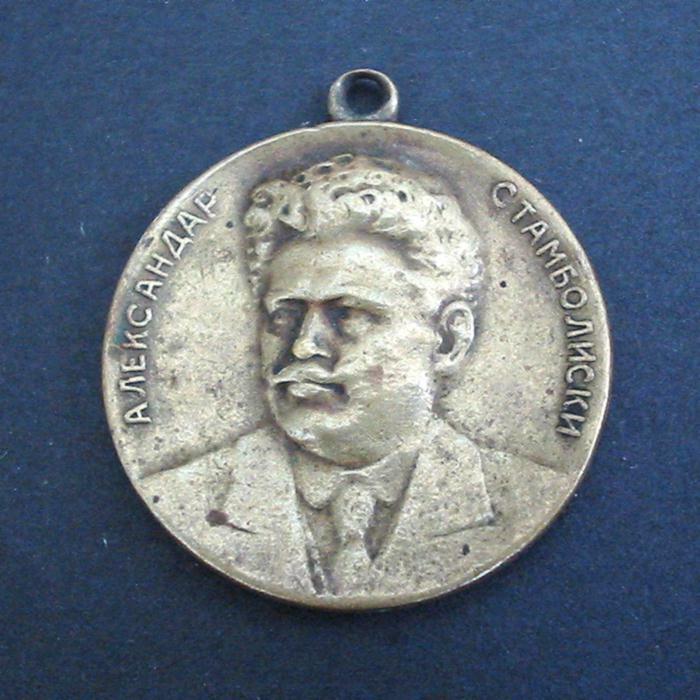 This is a nice and rare Bulgarian Royal era bronze commemorative medal of the leader of the Agrarian Political Party Alexander Stamboliiski. The medal has a diameter of 25mm and with a plain back. Nice collector piece and one of the nice Bulgarian medals.